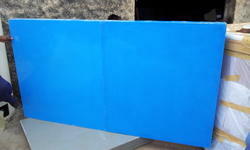 Swimwell also provide swimming pool accsories. 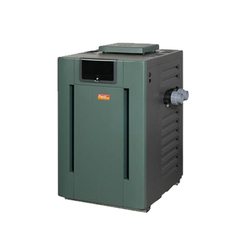 As one of the most acknowledged providers of Swimming Pools Water Heaters equipments, we offer very high quality Water Heaters For Swimming Pools. Fabricated using latest technology and highly qualified professionals, these heaters is sourced by one of the top manufacturer in the market. Now customers can enjoy same temperature of pool water all year long. With these heaters, customers can adjust the temperature of the entire pool water in a very short span of time. These heavy duty heaters are very durable and maintenance free. Owing to our years of experience and in-depth industry knowledge, we are able to manufacture, supply, distribute, wholesale, trade, retail, and export SS 304 Swimming Pool Ladders. These are commonly made of high-grade steel. 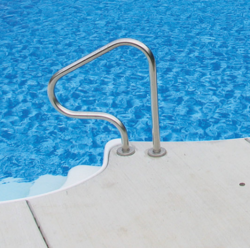 Swimming pool ladders are usually made from steel steps with a special grip and steel bars on the sides to support the steps and as handrails for the user. Since our inception, we have been successfully engaged in manufacturingSwimming Pool Handle.These are used for assisting in getting in and out from the pool. These handles are made up of high-grade steel. The steel handle offered by us are reckoned for reliability, high performance and long lasting finish. 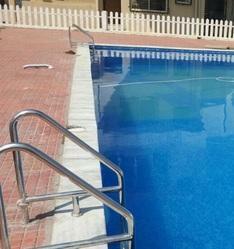 We are offering Swimming Pool Steps to our clients. FRP panels used with Titan Braces provide a combination of vertical and horizontal support to form the Titan Grid, which is able to stabilize your pool even where severe forces like frost heave and ground water pressure exist. Titan Polymer Pools combine the rugged engineering of a molded box-flange panel with the benefits of completely non-corrosive Structural Polymer, which means you can install a Titan Pool where soil conditions prevent the use of conventional steel. Titan Polymer Pools are available in numerous shapes and sizes, including the always popular Lagoon and Mountain Pond shapes. Kafko’s patented Multiflex panel was the first flexible panel system created for use in swimming pools and as a result received an engineering and design award from the Society of The Plastics Industry. The Multi-flex panel features a live hinge design which allows bending the panel into almost any radius. Double resin strapping secures the panel into True Radius form. We offer many standard shapes or design your own completely unique shape. The choices are endless with the Multi-flex Panel system. Both systems are available in industry standard panel heights of 42" which give you 3' water depth in the shallow end of the pool, and 48" high panels that finish at 3'6" water depth. The 6" extra water depth will provide you more options for water sports and games, and is a much better choice for serious lap swimmers. FRP wall system allows your Kafko pool builder to create virtually any shape you can imagine. The FRP Panels heavy duty wall brace system is designed to hold the pool walls in place, giving maximum support. The convenient ground stakes secure the panels from any movement before the pouring of concrete. The FRP heavy duty Panels brace system allows for the attachment of a song tube which will help carry the deck load and add strength to the overall pool structure. Pre-molded skimmer and light panels are available for both straight and curved walls. These panels are marked and reinforced so that the skimmer or light is positioned correctly and securely. Straight panels are designed with reinforced areas for returns, also. 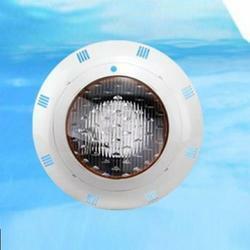 We are offering Swimming Pool LED Lights to our clients.